That incarnation lasted for half-a-decade, but it would never return after those X-Men were permanently reabsorbed by the main flagship books. In their wake, they left the team that would come to define X-Factor for over 25 years – a gathering of cast-offs including the 6th and 7th X-Men, Havok and Polaris, a little-known mutant named Jamie Madrox – The Multiple Man, New Mutants refugee Wolfsbane, an overgrown bouncer generically named Strong Man. Begins February 1986, at the same time as Uncanny X-Men #202 and New Mutants #36. 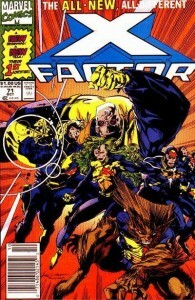 The first five years of X-Factor saw the introduction and initial development of Apocalypse, the transformation of Angel to Archangel, and the genesis of Cable. 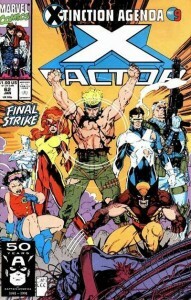 It also served as a sort of home-base for many line-wide storylines such as Fall of the Mutants and Inferno – both played out central elements of their stories in X-Factor. 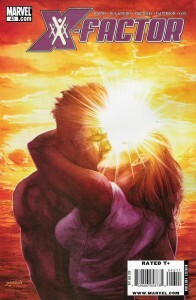 The team was increasingly incorporated into the Uncanny X-Men continuity until the five members eventually merged back to the core pair of X-books. Marvel Essentials are phone-book-sized collections of issues printed in black and white on thin paper. They’re a great way to read classic comics on a budget, and to experience the original pencils and inks of revered comic artists! Also collects Annual #1, Avengers #262, Fantastic Four #286, Thor #373-374, and Power Pack #27. Also collects Uncanny X-Men #239-243 to present an intact core of the Inferno arc. This primary issue range is small, but it also includes a slew of other issues – Annual 4-5; X-Factor: Prisoner of Love; Marvel Fanfare (1982) #50; and material from Fantastic Four Annual 23, New Mutants Annual 6, & Uncanny X-Men Annual 14. This crossover-packed final sequence of X-Factor overlaps heavily with the UXM essential volume of the same period. Collects X-Factor (1986) 60-70 and Annual 6; Uncanny X-Men 270-272, 280, and material from Annual 15; New Mutants (1983) 95-97 and material from Annual 7. #51-125: Not collected as Essentials at this time. Not a true “Marvel Omnibus” – it’s not quite long enough for a $99 price tag. However, it’s printed at that size and quality. Collects Uncanny X-Men #210-214, X-Factor #9-11, New Mutants #46, Thor #373-374, Daredevil #238, and Power Pack #27. This massive tome collects the entire Fall of the Mutants crossover, including a spectacular and tense run of X-Factor stories! New Mutants (1983) #55-61, Uncanny X-Men #220-227, X-Factor (1986) #18-26, Captain America (1968) #339, Daredevil (1964) #252, Fantastic Four (1961) #312, Incredible Hulk (1968) #340, and Power Pack (1984) #35. Collects the disparate stories from Uncanny X-Men (1981) #228-238 and Annual 12; X-Factor (1986) #27-32 & Annual 3; New Mutants (1983) #62-70 and Annual 4; and material from Marvel Age Annual 4 and Marvel Fanfare #40. Presents the Marvel-wide Evolutionary war event in chronological order, including X-Factor Annual #3, Punisher Annual #1, Silver Surfer Annual #1, New Mutants Annual#4, Amazing Spider-Man Annual #22, Fantastic Four Annual #21, Uncanny X-Men Annual #12, Web of Spider-Man Annual #4, West Coast Avengers Annual #3, Spectacular Spider-Man Annual #8 ,and Avengers Annual #17. Not officially an Omnibus, but just about the right size! Collects the entire Inferno crossover: X-Factor #33-40, X-Terminators #1-4, Uncanny X-Men #239-243, New Mutants #71-73, and X-Factor Annual #4. A companion Inferno tome that collects the tie-in issues from through-out the Marvel Universe. Collects Power Pack (1984) #40 & #42-44, Avengers (1963) #298-300, Fantastic Four (1961) #322-324, Amazing Spider-Man (1962) #311-313, Spectacular Spider-Man (1976) #146-148, Web of Spider-Man #47-48, Daredevil (1964) #262-263 &265, Excalibur (1988) #6-7, and Cloak & Dagger (1988) #4. Presents the Marvel-wide Atlantis Attacks event in chronological order, which includes excerpting back-up stories into their own separate sequence. Collects Silver Surfer Annual #2, Iron Man Annual #10, Marvel Comics Presents #26, Uncanny X-Men Annual #13, Amazing Spider-Man Annual #23, Punisher Annual #2, Spectacular Spider-Man Annual #9, Daredevil Annual #4, Avengers Annual #18, New Mutants #76, Annual #5, X-Factor Annual #4, Web of Spider-Man Annual #5, Avengers West Coast #56, Annual #4, Thor Annual #14, and Fantastic Four Annual #22. #41-48: Not collected in this format. Annual 4 occurs prior to #47. Collects the disconnected Acts of Vengeance storyline, which featured villains crossing over from other books. X-Factor faces villains from Thor, including Loki. Collects Fantastic Four #334-336; Wolverine (1988) #19-20; Dr. Strange (1988) #11-13; Incredible Hulk #363; Punisher #28-29; Punisher War Journal #12-13; Marc Spector: Moon Knight #8-10; Daredevil #275-276; Power Pack #53; Alpha Flight (1983) #79-80; New Mutants #84-86; Uncanny X-Men #256-258; X-Factor #49-50; Web of Spider-Man #64-65; and the Damage Control mini-series. A main Acts of Vengeance book collects additional issues, though none are from X-series. #51-59: Not collected in this format. Annual 5 fits between #58-59. 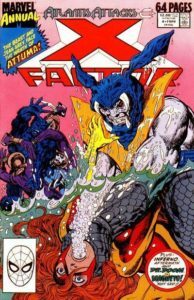 Collects the original Days of Future Past story in X-Men #141 and Uncanny X-Men #142; the Days of Future Present 1990 crossover from New Mutants Annual 6, X-Factor Annual 5, Uncanny X-Men Annual 14, and Fantastic Four Annual 23; and Excalibur’s foray into Ahab’s future from #52 and 66-67; plus Wolverine: Days of Future Past and Hulk Broken Worlds #2. Collects Uncanny X-Men #235-238 and #270-272, New Mutants #95-97, and X-Factor #60-62. Annual 6: The Kings of Pain crossover material from this annual is included in X-Force Omnibus, Vol. 1 and New Warriors Omnibus, Vol. 1. An utterly classic collection of the stories leading up to the launch of X-Men, Vol. 2. Because Claremont and Lee plotted the post-X-Tinction issues of X-Factor leading into the Muir Island Saga, they are also included here! Collects Uncanny X-Men 273-280; X-Factor (1986) 63-70; X-Men (1991) 1-9 & 10-11 (A-stories only); & Ghost Rider 26-27. 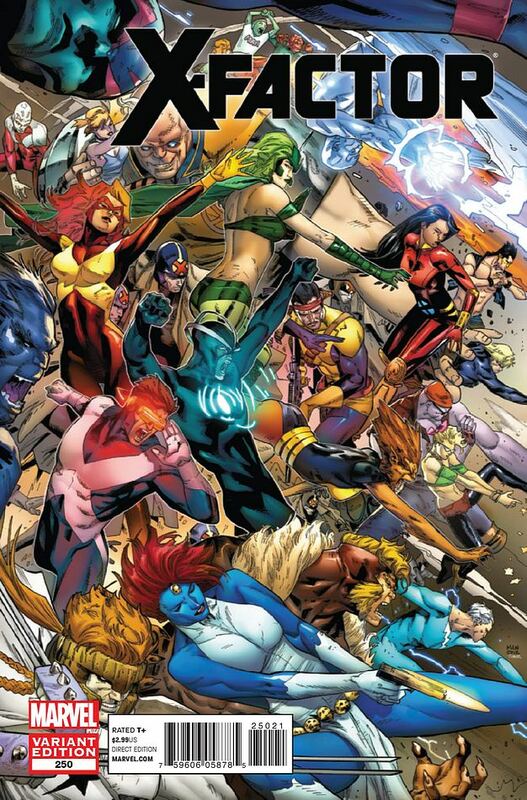 Acts as a prelude to X-Factor, collecting all of the books connected to Jean Grey’s revival – Avengers #263, Fantastic Four #286, X-Factor #1, and Classic X-Men #8 & #43. There is also a forthcoming paperback edition. Collects Avengers (1963) #263; Fantastic Four (1961) #286; X-Factor (1986) #1-9 & Annual 1; material from Classic X-Men #8, 43. Annual 1 fits between #4-5. Collected as background material to this muddled limited series about Apocalypse’s origin in ancient Egypt. Collects Uncanny X-Men (1963) #210-214, X-Factor (1986) #9-11, New Mutants (1983) #46, Thor #373-374, Power Pack (1984) #27, Daredevil #238. Reprinted in 2019 as X-Men Milestones: Mutant Massacre. A 2001 paperback version omitted UXM #214 and Daredevil #238. #12-14, 16-17, & Annual 2: Not collected. Annual 2 fits at the end of this run. X-Factor’s appearance in issue #2 of Mephisto Vs… fits in after #12. Collects the reintroductions of Psylocke along with older “mutations” of Beast and Archangel, from Uncanny X-Men #256-258, Amazing Adventures #11 & 17, and X-Factor #15, 24-25, respectively. Collects X-Factor (1986) 18-26, Incredible Hulk (1968) 336-337, Power Pack (1984) 35, Daredevil (1964) 252, Captain America (1968) 339, Fantastic Four (1961) 312. Volume 1 did not include X-Factor issues. Collects only the issues originally bannered as “The Fall of the Mutants” on their covers – Uncanny X-Men (1963) #225-227, X-Factor (1986) #24-26, and New Mutants (1983) #59-61. Previously collected in a 2002 paperback version. #27-32 & Annual 3: Not collected. Annual 3 occurs around #30. Collects the entire Inferno crossover: X-Factor #33-40, X-Terminators #1-4, Uncanny X-Men #239-243, New Mutants #71-73, and X-Factor Annual #4. This pads itself out with issues that were not contained in the Inferno Omnibus: Collects Uncanny X-Men #241-243, Excalibur #6-7, X-Factor #37-40, New Mutants #73 (but not material from X-Factor Annual #4? ), Cloak & Dagger #4 and Power Pack #44. Collects a number of Arthur Adams illustrated comics – Web of Spider-Man Annual #2, Cloak and Dagger #9, Fantastic Four (1st series) #347-349, New Mutants Special Edition #1, Uncanny X-Men Annuals #10 and #12, X-Factor #41-42, and possibly Uncanny X-Men Annual #9. #43-59: Not collected. Annual 5 fits between #58-59. Collects Uncanny X-Men Annual #14, X-Factor Annual #5, New Mutants Annual #6, and Fantastic Four Annual #23. Collects Uncanny X-Men #235-238 and #270-272, New Mutants #95-97, and X-Factor #60-62. Previously collected in an out-of-print TPB (ISBN 0871359227). Depicts a story by Louise Simonson that was set up but left untold when she left the title. The continuity of this limited series is treated as an alternate universe, branching from issue #63-64. Part of Kings of Pain. Collecting New Warriors (1990) #7-10, Annual #1; New Mutants Annual #7, Uncanny X-Men Annual #15, and X-Factor Annual #6. This features the full post-#100 team. Also in New Warriors Omnibus, Vol. 1. Begins in October 1991, alongside X-Men #1, Uncanny X-Men #281, X-Force #1, Wolverine #47, and Excalibur #55. 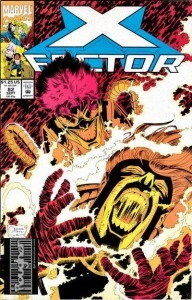 At the same time Marvel launched its marquee adjectiveless X-Men title, X-Factor was re-launched with a pack of cast-off characters – sporadic X-Men members Havok and Polaris, New Mutants castoff Wolfsbane, sometimes-Avenger Quicksilver, and random supporting characters Strong Guy and Multiple Man. While wholesale relaunches are typically a sign of book in its death-throes, here it was an unmitigated success. The critically-acclaimed writing of Peter David along with art from Larry Stroman and Joe Quesada helped to re-define this sextet of characters until David’s run on the book ended, at which point it descended to more typical satellite X-book plots. Still, David’s character developments are felt to this day – as are the themes of his volume. Forge later joined the title, along with Mystique and Wild Child. Annual 7/1992 is part of a crossover to other X-annuals, and actually may fit between #76-77 in the prior volume. Yes, this collects the X-Cutioner’s Song issues with none of the other crossover material. Annual 8 occurs at the end of this run, but prior to #92. A beautifully produced hardcover that collects the entire crossover: X-Factor #84-86, Uncanny X-Men #294-296, X-Force #16-18, and X-Men #14-16 – plus the epilogue in Uncanny X-Men #297, and Stryfe’s Strike File. Previously collected in an out-of-print paperback. A massive collection focusing on the core of the Fatal Attractions story from Uncanny X-Men and X-Factor. Collects Uncanny X-Men 298-305, 315, & Annual 17; X-Factor 87-92; X-Men Unlimited 1-2; X-Force 25; X-Men 25; Wolverine 75; & Excalibur 71. Collects all of the anniversary hologram cover issues, which were loosely connected: Excalibur #71, Uncanny X-Men #304, Wolverine #75, X-Factor #92, X-Force #25, and X-Men #25. #93-105, Annual 9/1994: Not collected. Annual 9 fits inside of #102. Buyer beware! A paperback with incredibly low reproduction quality on newsprint paper. It’s unclear on whether this collects the entirety of these three issues, or just portions relevant to the crossover. Collects X-Factor #108-109, Uncanny X-Men #319-321, X-Men#38-41, Cable #20, and X-Men Age of Apocalypse Ashcan Edition. #112-124: Not collected. In this run the team is reduced to Havok, Polaris, and Forge. It immediately adds Mystique and Wild Child, and later Shard and Sabretooth. #125-126: See Uncanny X-Men: Onslaught for collection information. At the end of this series, Havok moves on to this own title – Mutant X. Polaris returns to X-Men in issue #97. Issues #1-4 of this mini-series about an FBI team investigating anti-Mutant crimes was collected in a hard-to-find TPB with the ISBN 078511016X. Begins January 2006, concurrent to Uncanny X-Men #466 and Decimation – the mutant-depowering aftermath of House of M, as explored in X-Men #177, New X-Men: Academy X #20, and New Excalibur #1. The third volume of X-Factor returns Peter David to the helm and resumes the concept of the latter half of the first volume of X-Factor, where the team is a less-violent, investigative facet of the X-Men universe. 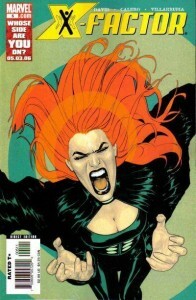 The volume begins with Jamie Madrox renting an office along with Rahne (AKA Wolfsbane) and Strong Guy, who are joined by the hilariously bitchy pair of Siryn and M, a recently depowered Rictor, and mysterious House-of-M moppet Layla Miller. Quicksilver loiters on the sidelines, and Longshot and Shatterstar later join the fray. Despite the unherioc tone and staying mostly clear of X-book storylines, the book’s many arcs plays close to the center of Marvel’s continuity, particularly through the inclusion of House of M’s deux ex machina Layla Miller. Peter David and the editorial staff execute an impressive amount of control over the book, keeping the look and feel consistent across multiple pencilers – partially due to a carefully cultivated pallette of colors. Clearly David has some sway at Marvel, possibly due to the fact that his old partner Joe Quesada is now editor-in-chief! As of issue #50 it was re-numbered to #200 to rejoin the numbering of Vol. 1, which ended at #149. 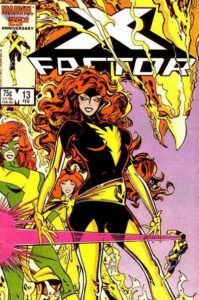 The first #24 issues of X-Factor were recollected into a pair of extra-long “Complete Collection” hardcovers. 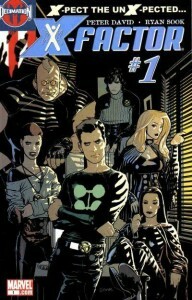 Also includes the hard-to-find Madrox – Multiple Choice limited series that acted as a prequel to this series. Also collects X-Factor: The Quick and the Dead and X-Factor Special: Layla Miller One-Shot. Omits Messiah Complex crossover issues. 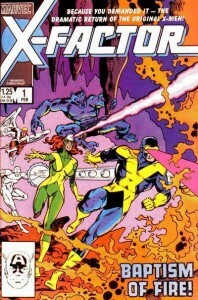 The series was originally collected in 22 editions – plus participation in a major X-Men crossover. Referred to as “X-Factor, Vol. 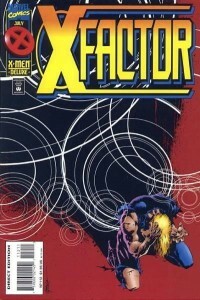 0,” this six-issue limited series acts as a prelude to the relaunched X-Factor. Also available in hardcover. Collects X-Men: Messiah CompleX One-Shot, Uncanny X-Men #492-494, X-Men #205-207, New X-Men #44-46, X-Factor #25-27, and X-Men: Messiah CompleX – Mutant Files. Also available in hardcover. Rahne leaves the team to join X-Force. Also collects X-Factor: The Quick and the Dead. Available in hardcover. Also collects She-Hulk #31. Longshot and Darwin join the team. This volume is not a fan favorite – readers considered Secret Invasion to be an interruption of a strong succession of arcs. Also available in hardcover. Shatterstar joins the team in issue #43. Also available in hardcover. Also collects X-Factor: Layla Miller. Also available in hardcover. An entertaining caper with Valeria Richards and Dr. Doom. Also available in hardcover. 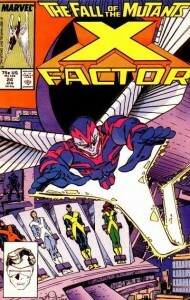 Also collects Nation X: X-Factor. Also available in hardcover. 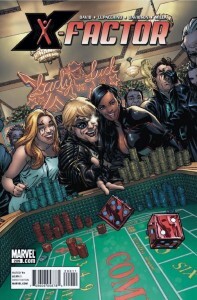 Focuses on the aftermath of X-Factor’s Las Vegas adventure, including two issues focusing on Darwin (who departs the team), and a job protecting Spider-Man’s J. Jonah Jameson. Also available in hardcover. Focuses on the birth of Rahne’s child. Also available in hardcover. While X-Factor does not appear until halfway through this story (in #6-9), it winds up being a pivotal one for one member in particular! Collects Avengers: The Children’s Crusade #1-9, which re-introduces Scarlet Witch after a half-decade away from the spotlight. Also includes the B-story from Uncanny X-Men #526 and Avengers: The Children’s Crusade -Young Avengers. Also available in oversized hardcover. Collects the Schism mini-series, X-Men: Choosing Sides, and X-Men: Regenesis. This event reshapes the X-Men line. X-Factor is absent from Schism, but events in the Regenesis one-shot will effect the next book of X-Factor. Also available as an oversized hardcover. Havok and Polaris rejoin the team, while Madrox tries to find his way back. Available in hardcover. At this point, X-Factor is no longer solicited in hardcover. Heavily featuring Rahne and Guido. It’s sad but true – this is the final volume of Peter David’s X-Factor! Peter David relaunches X-Factor as a corporate squad for Serval Industries lead by Polaris and featuring Gambit, Quicksilver, Danger, Cypher, and Warlock – and perhaps some others yet to be announced! Jamie Madrox makes his first appearance since IvX in this mini-series. Check Amazon for Marvel’s newest X-Factor titles.